Including original red satin Lacroix pouch and FPOS hardcase. 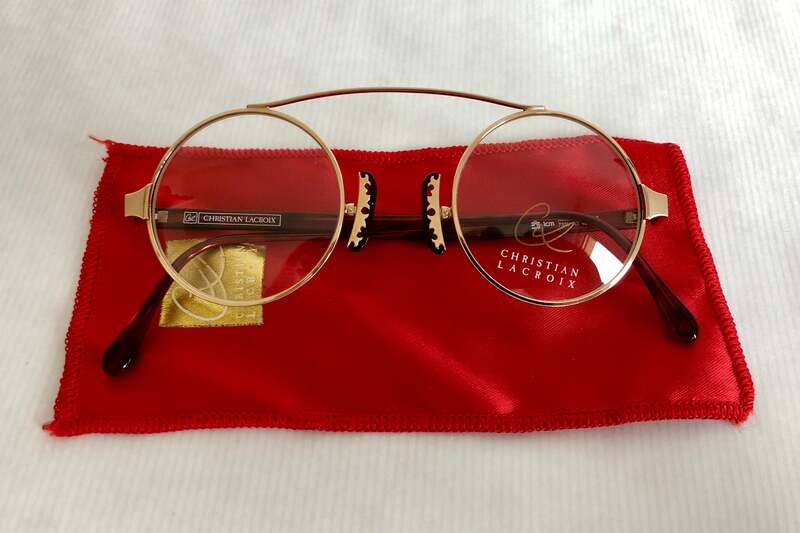 A masterpiece of 1980s eyewear design from french fashion designer Christian Lacroix. 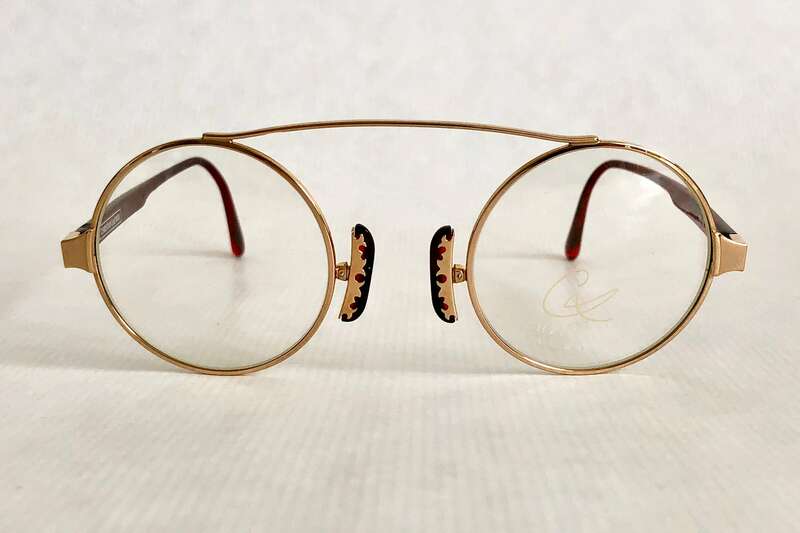 My favourite Lacroix piece, a wonderful design of incredible simplicity and tremendous impact. 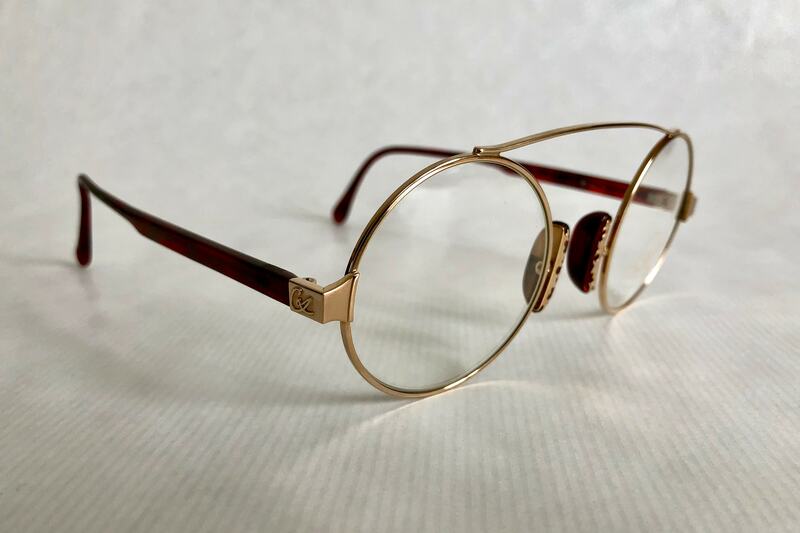 One bold browbar, perfectly round lenses, elegantly mounted acetate nosepads with signature Lacroix gold decor. 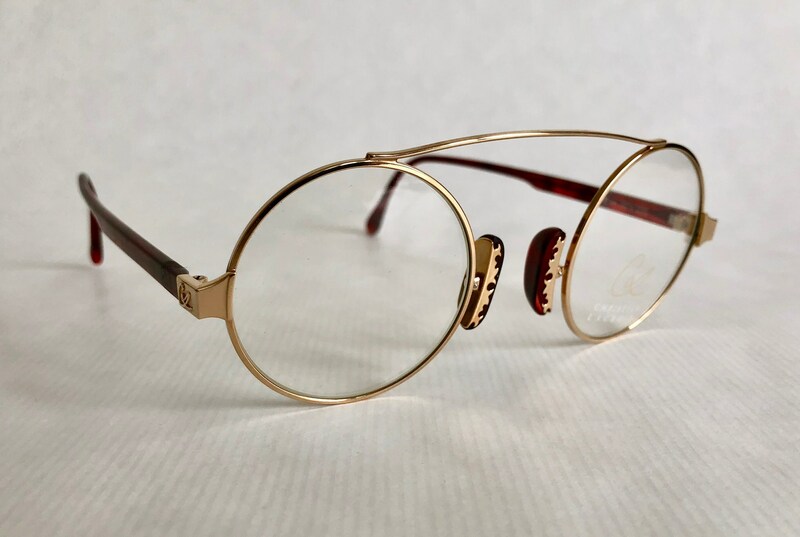 One of the boldest Lacroix designs. Lacroix logo on temples. Signature Lacroix swirls on earpieces. 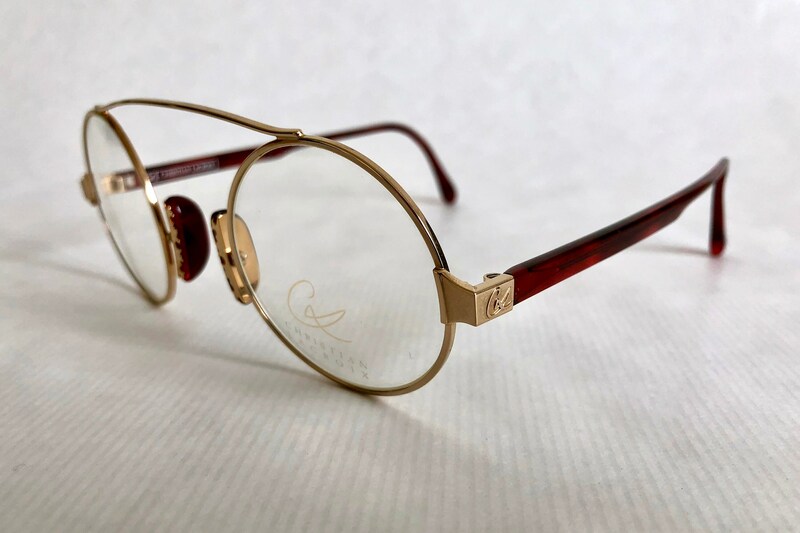 Manufactured by Wilhelm Anger's Carrera Optyl company who also produced Porsche Design, Christian Dior, Paloma Picasso and many other fashion brand licenses at the time. 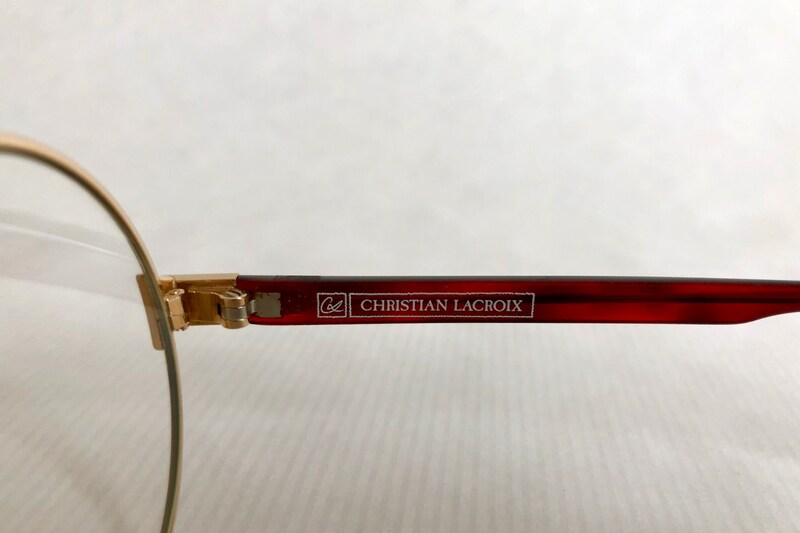 Lenses: Original demo lenses with Lacroix logo. 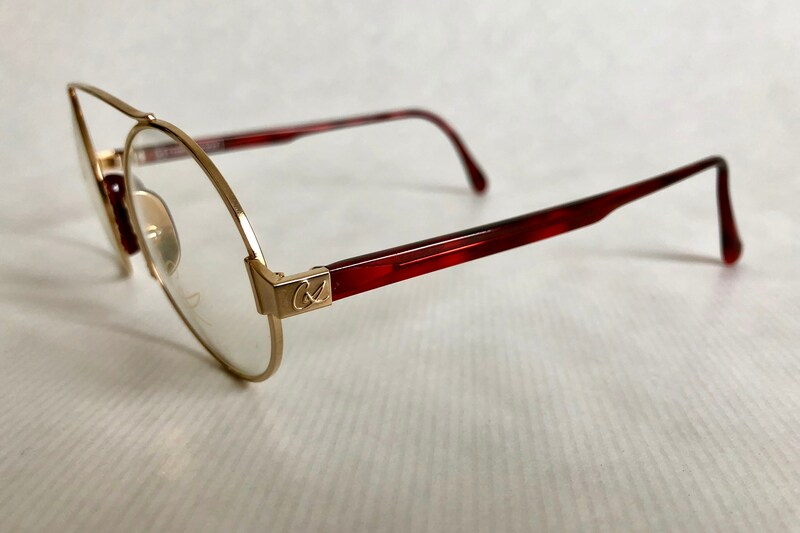 Can be worn as is or fitted with your choice of rx or tinted lenses.